Around 1540 we see how all instruments suddenly get their ranges extended into the lower register. The same happened to the harp. Before the bottom string was tuned to G or F, now it became C or even GG. 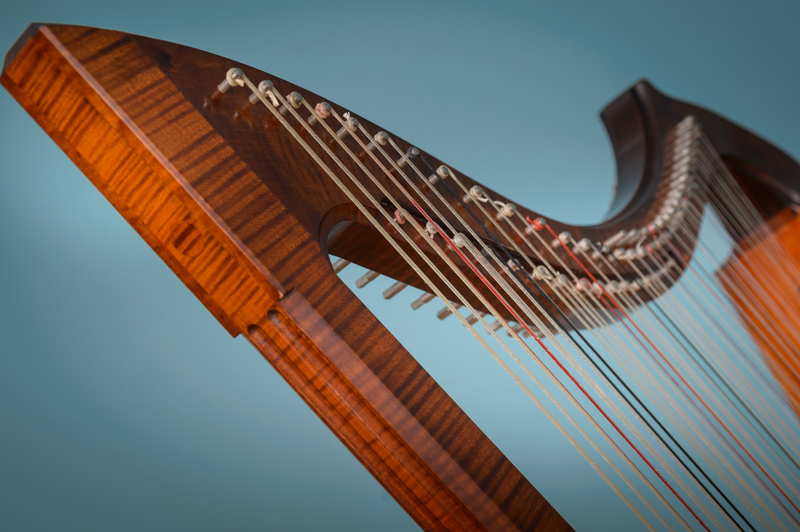 These new instruments were twice as large and therefore they were called 'arpa doppia'. At the same time the musical demands changed. It was the late Renaissance developing towards Mannerism, a time of very advanced harmonies in the madrigal writing and a 'musica segreta' or 'musica reservata' existing at sophisticated courts of popes and nobility. This helped the rise of the chromatic and enharmonic genders and the old diatonic harps didn't suffice any more. A second or third parallel row of strings was added. 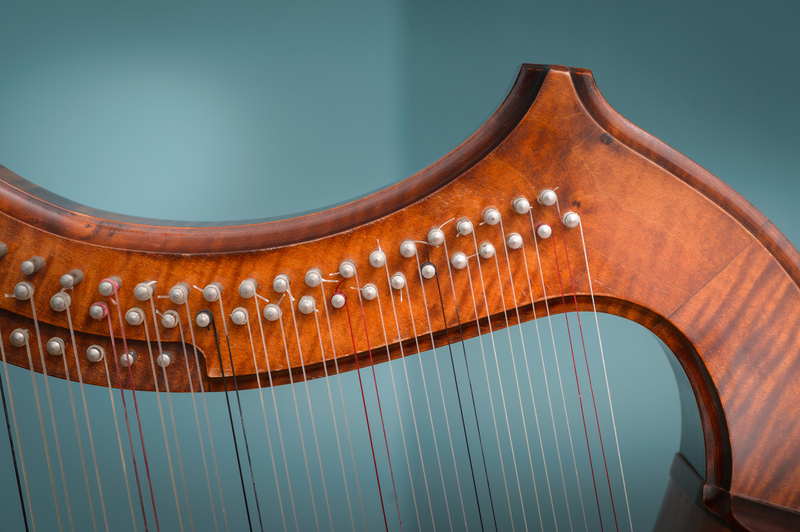 These harps are called 'arpa a due o tre ordini'. 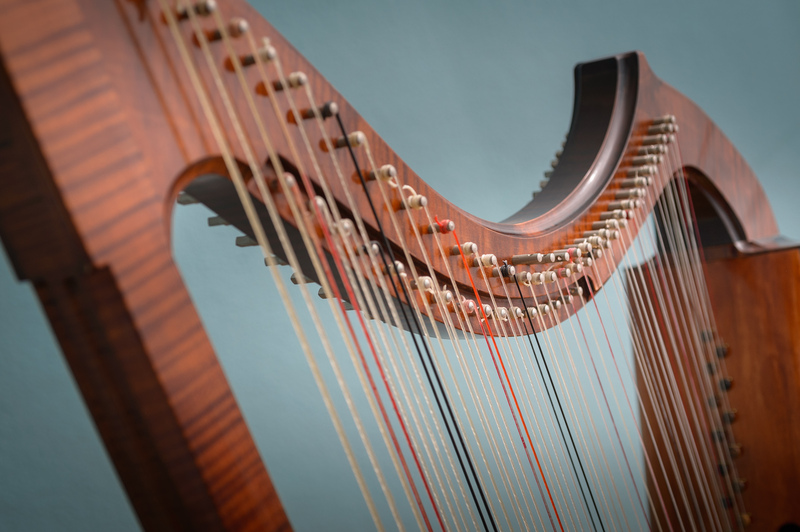 We know that Claudio Monteverdi wrote a harp solo in his 'Orfeo' that requires a chromatic range from bottom GG, but a harp with two or three rows of strings from C would usually be enough to play all the music well into the 17th century. Most harps would have matched the range of the harpsichords of this period and they also didn't go lower for a long time. But they had split sharps to make a difference between d# and eb or g# and ab. Just that is easily possible on these harps as well. 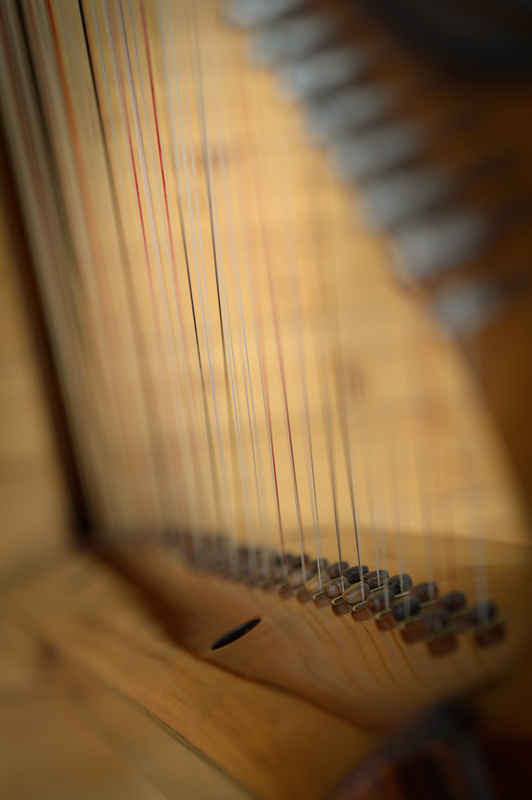 My harp has done hunderts of hours in the pits of small and large opera houses and on the concert stage. The singers I accompany love it, because they feel it's much easier to pick up a pitch from a harp then from a harpsichord. And it speaks much more directly then an organ. For me it is ideal for touring, because it is small and fits the overhead bin on European trains.